Health literacy is the primary predictor of a person's health status? Almost half of all adults in a national study reported that they have difficulty reading and processing everyday health information? This percentage is even higher (65%) among younger people, ages 16 to 24. Literacy levels in general are three to five grades below the highest grade of school completed? Low health literacy often leads to unnecessary, and costly, trips to the emergency room? While almost half of the population has trouble with routine health information, this is an even greater challenge for those with low literacy skills in general. Parents of children in Head Start often face this challenge. Many get health information from family or friends, TV or the internet. Forty-five percent of families participating in a pilot project in public health settings reported that the hospital emergency room was their primary source of care. Increasing the health literacy of parents with young children is a major priority for KHSA. 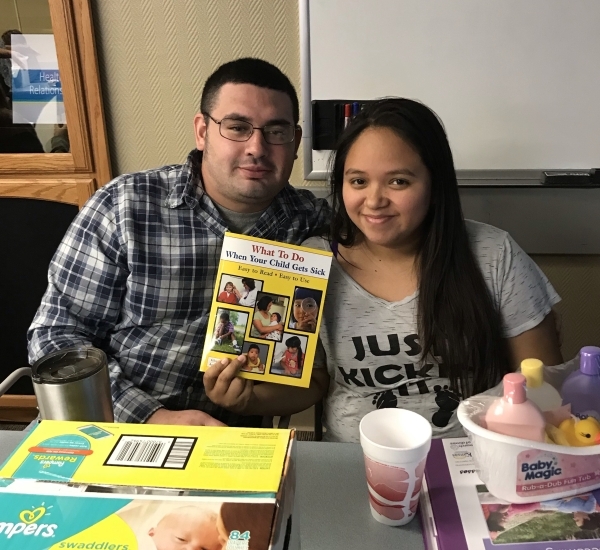 The Parent Health Literacy Project works to provide a reliable healthcare resource to low literacy parents along with training on how to use the book effectively. KHSA was the first state Head Start association to make a nationally-recognized health literacy training program available to all our families. The Health Care Institute (HCI) was developed by the University of California-Los Angeles (UCLA) and Johnson and Johnson to address this national problem. 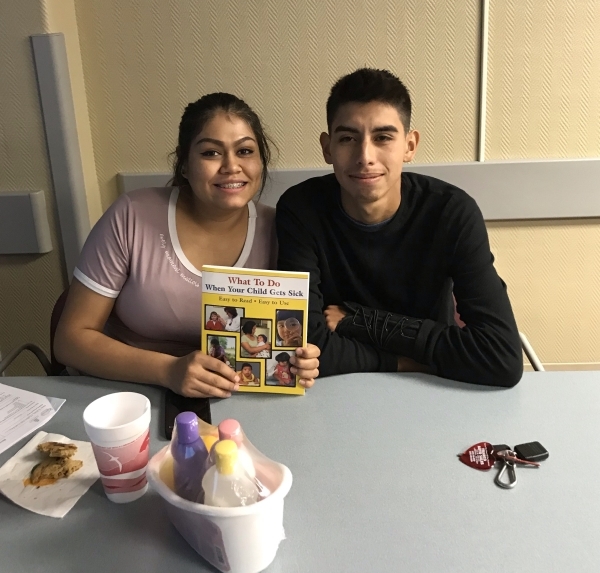 Through a partnership with UCLA, Kansas Head Start programs have provided health literacy training to parents of Head Start children across the state. KHSA has now expanded its health literacy work to partners in public health, human service organizations and faith communities. KHSA has developed its own practitioner training o help presenters understand health literacy and build their skills in working with low-literacy adults. We also have created a unique parent training curriculum, based on the "What to Do When Your Child Gets Sick" book, designed to teach parents in one-on-one or small group settings. Both curricula were developed by a team including an adult literacy expert, parent educator and pediatric R.N. KHSA plans to expand its partnerships to reach out to all families with young children in Kansas and the KC Metro area. We have learned that all parents appreciate and use the information provided in the book, but that it is most effective when paired with effective education and follow up by practitioners. For more information, please contact Peggy Kelly, Parent Health Literacy Project Coordinator, pkelly@ksheadstart.org. The Parent Health Literacy project has been supported by investments from numerous funders and partners since its inception in 2004. Two research projects have studied the impact and outcomes of the Parent Health Literacy project. Each report focused on a specific delivery method. 1. The 2010 report tracked parents with a pre and post-test over three months after receiving a 30-40 minute 1:1 training on how to use the "What To Do When Your Child Gets Sick" book. The results showed significant decrease in unnecessary ER and doctor visits and missed days of work for parents and school for children. 2. The 2015 study focused on the use of a 10 minute DVD with 10 minutes of in person training in how to use the book. This study also showed significant decrease in unnecessary ER and doctors visits and missed days of work for parents.